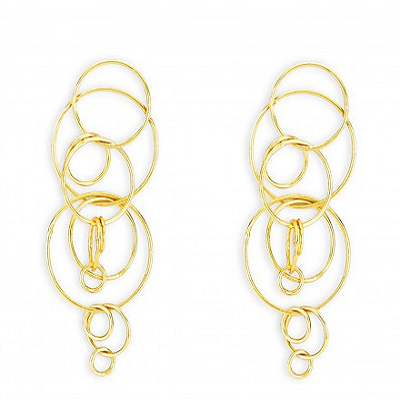 15 Beautiful Earrings For Women That You NEED To Own Right Now! This story was updated in January 2019. Wearing same old boring studs every day? Not any more! There’s a whole world of absolutely BEAUTIFUL earrings for women out there, and we’re totally ready to amp up our style game with them. Are you going to join us?! We promise you’ll love all of these as much as we do! 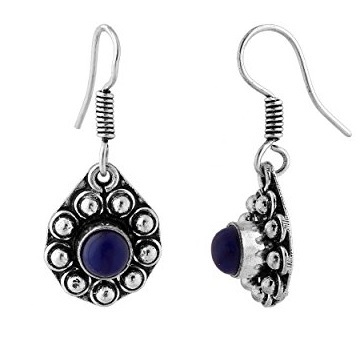 Amp up your style with the suggestions of most beautiful and cute earrings for women given below. Have a look! 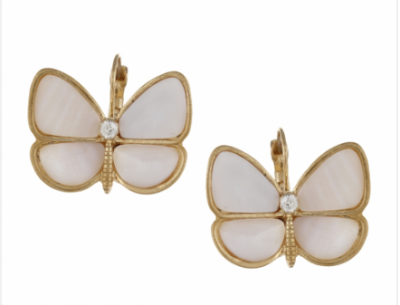 Pearl white and butterflies, could there be anything cuter?! The colour will go with just anything in your closet, we’re sure of that! Price: Rs 920. Buy it here. These studs will totally quirk up your look! 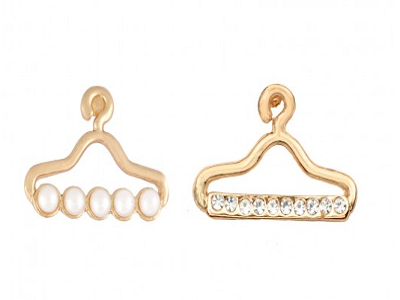 The mini hanger earrings might be tiny, but they speak volumes about your style. Price: Rs 499. Buy it here. One of our favourites! 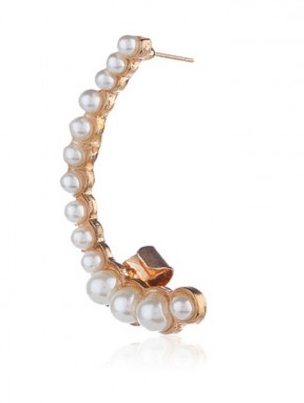 pearl earcuffs are a big deal at the moment, and this one is the best of a kind. Wear it with a classic shift to make it stand out more. Price: Rs. 499. Buy it here. 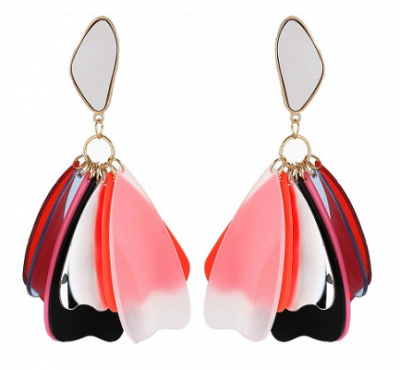 These colourful earrings are so gorgeous that we can’t WAIT to take them out for a spin! The fusion twist is really cool, and all the shades are so summer friendly! Price: Rs. 699. Buy it here. Feather earrings are still doing the rounds in the fashion circle - and it’s because they’re so light but still manage to make a great impact! We also love the vibrant colour of this pair. Price: Rs 270. Buy it here. 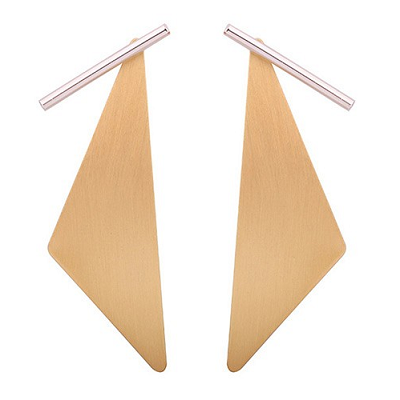 These quirky geometric statement earrings are a must to add in your jewellery box! The brownie beige colour ensures that you can wear them with absolutely anything. It would look especially great with a basic monochrome outfit. Price: Rs 699. Buy it here. 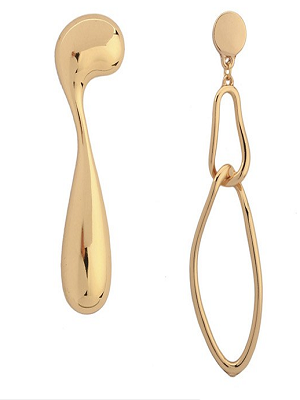 Aren’t these danglers super-adorable?! The black colour is so versatile, and the drop couldn’t have been any more cuter. Perfect for a fancy lunch! Price: Rs 279. Buy it here. 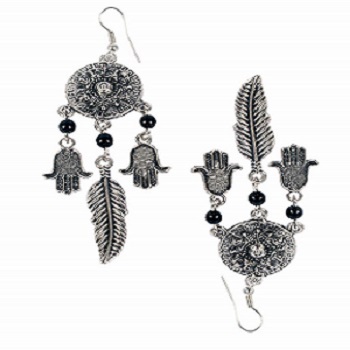 These silver black earrings for women will make you feel super positive about life, somehow! Pairing them with your outfit would give you a great start to the day. Price: Rs 398. Buy it here. These earrings are really unique as both the earrings have different shape. They are made of subtle golden colour that put everyones serious attention towards you. Price: Rs 599. Buy it here. 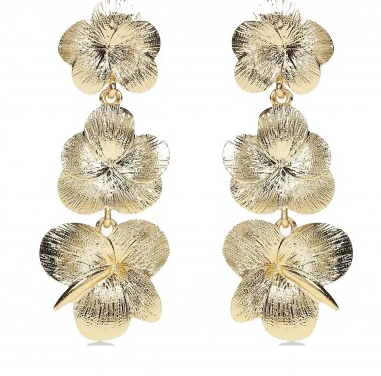 Florals are all over in trend and when it comes to metallic gold floral dangler, no one can say no to it. Price: Rs 599. Buy it here. 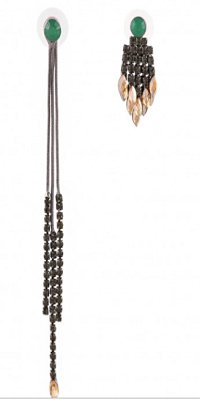 Elevate your jewelry box with these beautiful metallic tassel earrings. They have a really unique design that can add glamour to all your outfits.. 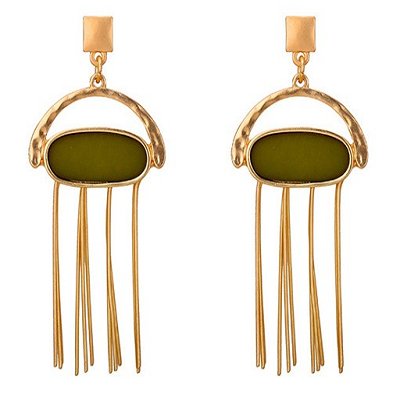 These earrings are made with alloy and have a unique and contemporary style. 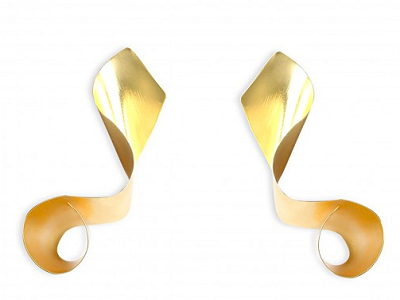 Wearing them will surely amp up your style quotient as the pair of Twister Gold Earrings with any solid coloured outfit will surely look gorgeous. Price: Rs 899. Buy it here. The multi colored acrylic petal earrings look so funky. 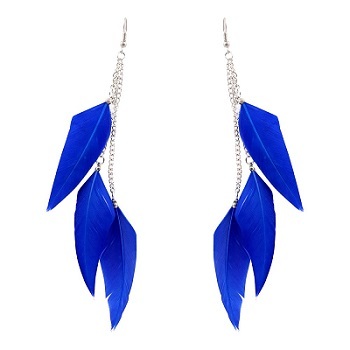 They are oversized danglers and can make even a simple look great Price: Rs 599. Buy it here. These earrings are made of acrylic and alloy material and have a really unique design with different shape and size of both the earrings. They are just perfect to adorn on a party. Price: Rs 599. Buy it here. These pair of earrings are so beautiful and playful that you can make any of your boring outfit look extremely classy Price: Rs 599. Buy it here. 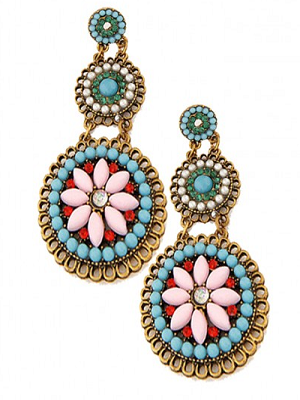 MUST-READ: #MustBuy: The Best Earrings To Bag Online In Every Budget!